Ihsane Lahlou of the Dahari organization. 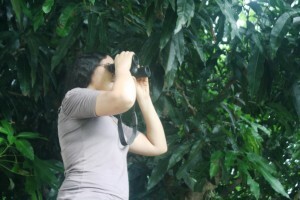 I am Ihsane Lahlou a researcher in ecology and conservation. I started my career in France and Togo before joining the team of the Comorian NGO Dahari in 2014 to work on conservation programs, particularly on the Livingstone fruit bat. At Dahari, we are currently working on a participatory conservation program of this fruit bat and we also ensure the annual monitoring of the species. In parallel, we are working on a genetic research program on Eulemur mongoz. 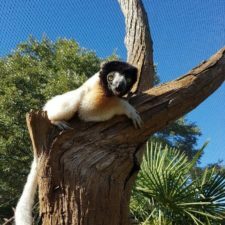 Did you know that lemurs live in the wild outside of Madagascar? 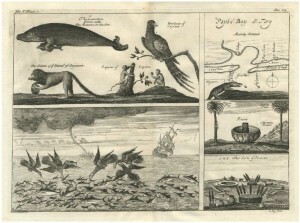 Historic drawings of mongoose lemurs in the Comoros. 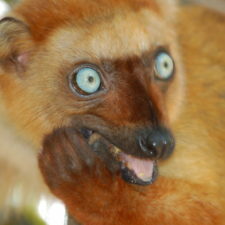 Indeed, there are two lemur species living in the wild outside of Madagascar. The mongoose lemur (Eulemur mongoz) is the species I am working on. This species can be found on the islands of Anjouan and Mohéli in the Comoros archipelago. The other one is the Common brown lemur (Eulemur fulvus mayottensis). It can be found on the island of Mayotte, which is also part of the archipelago. We don’t know when or by whom the mongoose lemur was introduced to the Comoros from Madagascar, but it was long before the arrival of Europeans. 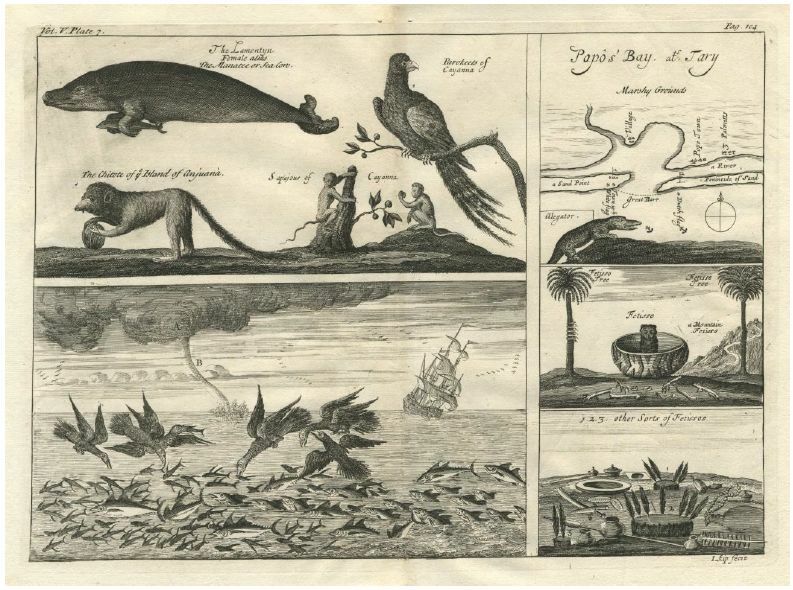 What we do know is that the oldest known illustration of these lemurs in Anjouan dates from 1744 (Popo Bay Voyages and Travels from Churchill’s A Collection of Voyages, London, 1744). A mongoose lemur in the Comoros. In partnership with Madagascar Biodiversity Partnership, our team is currently undertaking a study of tissues and feces samples to measure the genetic distance between the lemur populations in Anjouan and Madagascar. The genetic component of the work will be performed by the conservation genetics department at Omaha’s Henry Doorly Zoo and Aquarium. Depending on the results of this study, the population of Anjouan could be used as a source population to genetically enrich the lemur population of Madagascar. In Anjouan, our role is to collect the feces samples and this is not an easy task. The mongoose lemurs usually live in forest areas that are limited to zones with slopes exceeding 75%, so they are difficult to find and to follow. Given the scarcity of food sources on the island, the lemurs travel significant distances to feed and it’s often hard to find them. And even when we find the lemurs, we can’t always collect feces; we often can’t follow them if they move away because of the rugged terrain and steep slopes. Because it is so difficult to collect samples, we’ve even started using fruits to attract the lemurs…but we have not had much success. The sampling is time consuming and requires patience and perseverance. In the last five months, we have been able to collect only half the necessary samples for this important research project. 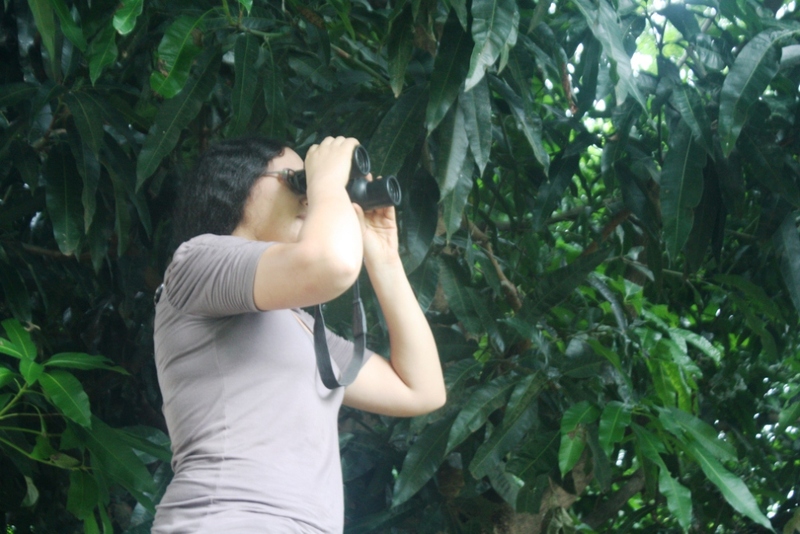 As such, in March we decided to organize a big lemur search. 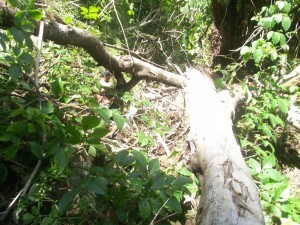 I mobilized 12 people from Dahari’s team, we split into small groups, and we trekked up into the forest. Our objective was to collect at least five samples. But, we got unlucky with the search: there was rain during the night, so the lemurs remained hidden in the heart of the forest. All we came back with were some scratches and bruises. A landslide in the Comoros. Mongoose lemurs are one of the most threatened species of lemur in Madagascar, but no study has yet estimated the population size of this species in the Comoros. They can be seen occasionally in the forest, and, during the fruiting period, in agricultural fields, villages and even towns. They particularly appreciate mangoes and jackfruits. Mongoose lemurs are also often kept as pets in the Comoros. Fortunately, there is no hunting of lemurs in Anjouan. 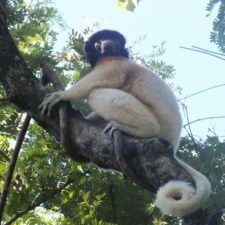 The main threat for the lemurs is the destruction of natural forest habitat. According to the United Nations, from 2000 to 2010 deforestation in the Comoros reached 9.3% per year, the highest rate in the world. 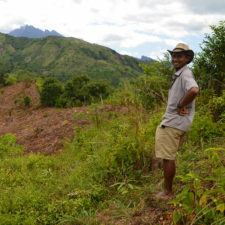 The main causes of this deforestation are the expansion of agricultural areas and the cutting of large trees for timber. 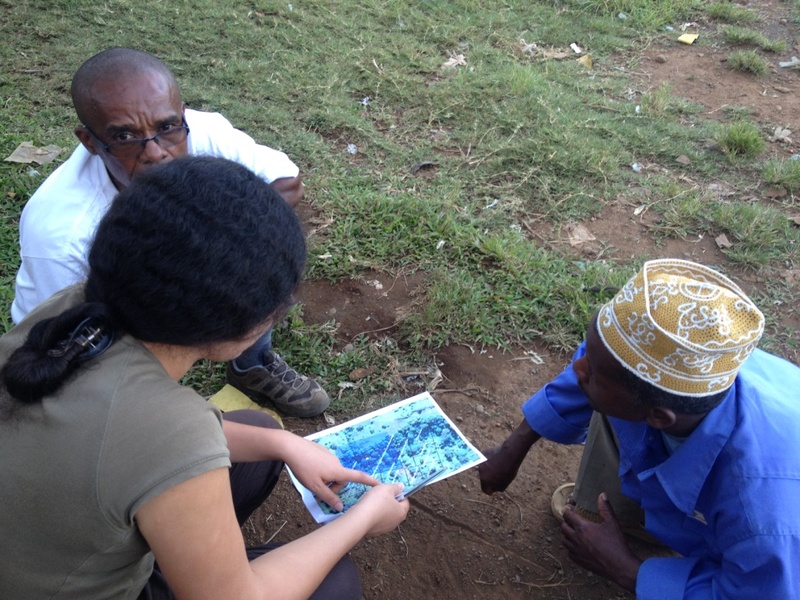 Participatory conservation: getting feedback from local communities. Over the past seven years, the Dahari team has supported over 2500 farmers, increasing their agricultural revenues in ways that help conserve the forest. We are now working with three local communities to put in place the first ever forest protection zones before the end of 2015. 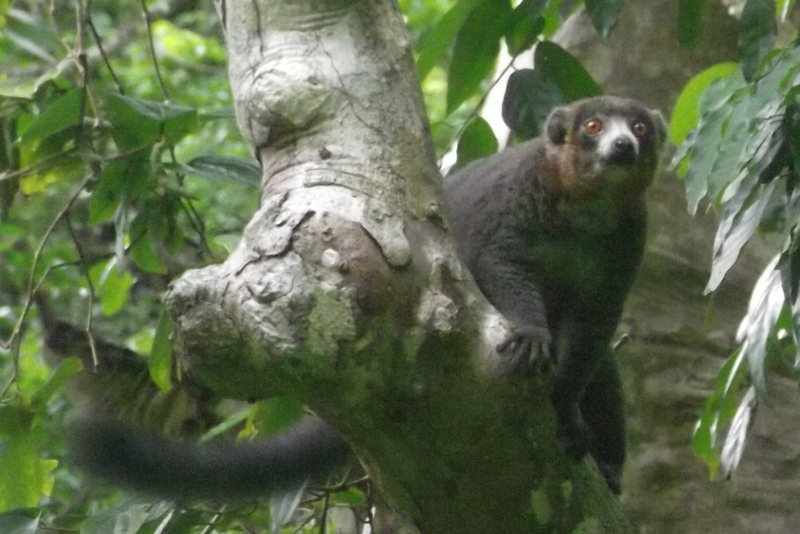 In the future, we will conduct studies to estimate the population size of mongoose lemurs in Anjouan. 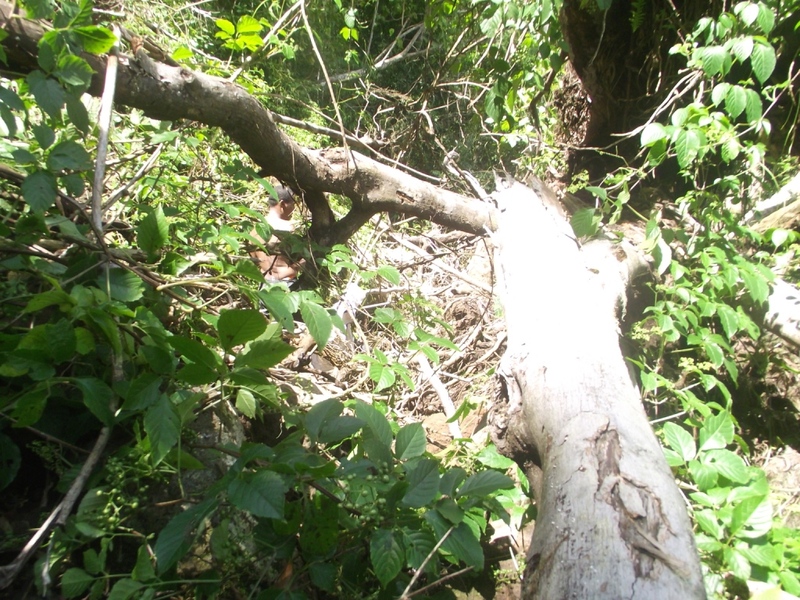 We will also look to identify the distribution of the species and the type of habitat it prefers. This information is essential if we want to develop an effective conservation program of this species. Support Dahari’s work in Comoros!